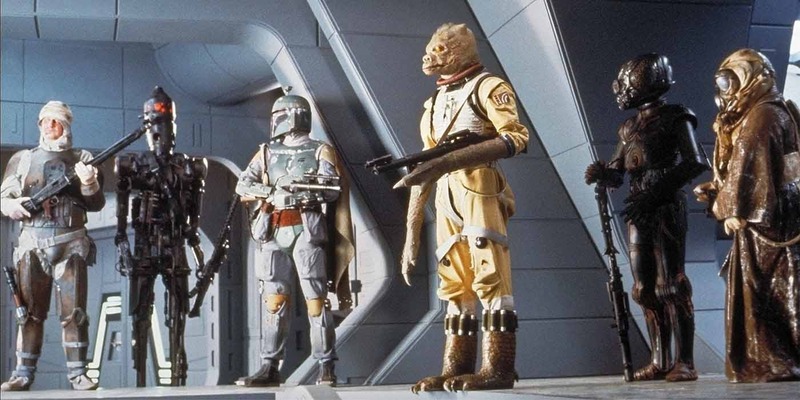 Some new rumors about the inaugural live action Star Wars series The Mandalorian indicate that we’ll be seeing a lot of familiar bounty hunters from The Empire Strikes Back in the show. 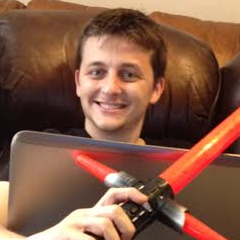 Star Wars Leaks Subreddit moderator JediPaxis is back once again with a new set of rumors. He claims that he wanted to get ahead of the curve before Star Wars Celebration Chicago (hopefully) confirms some of what he’s been told. It wasn’t clear if this was IG-88 or some other droid of the same model, but the source that JediPaxis is speaking with has reason to believe that this is the droid we’re looking for. What’s more is that he’s meant to be the sidekick to Pedro Pascal’s Mandalorian, and, knowing Waititi, may very well be a source of comic relief. That would definitely a bit of a departure from what most fans have expected from the character, but it seems like something that could still work. Right now, it’s unclear if Boba Fett or 4-LOM will appear in the series, which is set three years after the events of Return of the Jedi. What is clear, according to JediPaxis, is that none of the major characters from the original trilogy are going to appear at all. As for the show’s original characters, he has only heard about Gina Carano’s role which is apparently heavily tied to the Mandalorian and has long, dark hair. She doesn’t wear a lot of armor, but the armor that she does wear is “dark gray in color with a turquoise belt and gauntlets”. There’s also a character that’s a blacksmith, who provide our unnamed protagonist with upgrades throughout the show. By the end of the initial run, the Mandalorian’s suit of armor has a lot more color in it, with a silver finish. As for locations, it appears as though Tatooine is going to be the primary setting of the series. It’ll be interesting to see what the planet is like now that the Hutt crime lord running things has been dead for a few years. Perhaps we might hear rumblings of what happened to Boba Fett, who is implied to have escaped the Sarlaac before leaving his armor behind in the Aftermath books? That would certainly explain why the planned project about the character is on ice for the time being. Aside from Tatooine, the show also features a forest world that resembles a mix between Endor and Kashyyyk, although it’s not clear what this planet’s name actually is. Carano’s character appears on this planet, based on some concept art. Speaking of which, concept art and set photos of The Mandalorian has revealed that we’ll be seeing some familiar aliens and creatures. One illustration features a group of characters riding a Blurrg. Nikto and Klatooinians (dressed similarly to Uruk-hai from The Lord of the Rings) appear as goons, alongside a particularly large Quarren that stands a foot taller than the Mandalorian himself. Jawas appear to assist the Mandalorian at one point, while there’s no word on whether or not Gamorreans and/or Tusken Raiders will be appearing somewhere. One thing that a number of background characters have in common is that they’ll be dressed in outfits derived from Stormtrooper gear. The head is of a R4 astromech with an antennae. 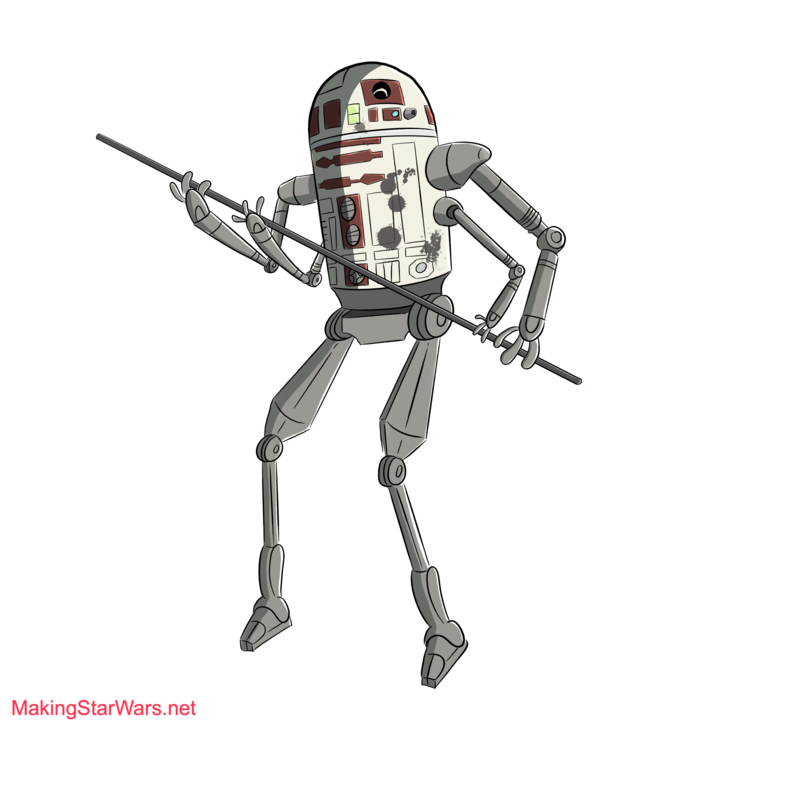 The R4 head is attached to a very small, non-astromech body, standing on long, thin, inverted legs with bird-like feet, and two small arms shown holding a tray. Mounted to the the back of the small body is a bucket. The droid appears to be quite tall (at least average human heigh, perhaps even taller). There are some similarities to this image that Making Star Wars put out a while back, but the shape and specifics are different. With news and likely actual footage from the show set to arrive at Star Wars Celebration Chicago, we won’t have long to wait to see if anything he’s sharing ends up being true. 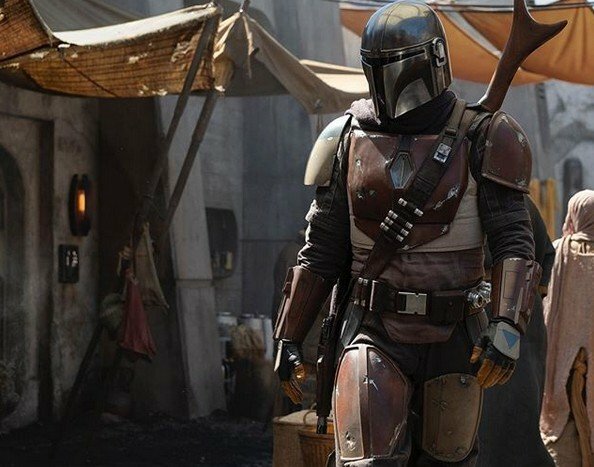 The Mandalorian is expected to arrive alongside the launch of Disney+ later this year.